Homeowners in Spring Hill constantly need to be aware of the chances of water damage invading their properties, as well as knowing that when they need assistance, they can call 911 Restoration Tampa. The wet Tampa climate makes it especially common for natural causes of water damage, such as rainfall, condensation and humidity to affect homes. 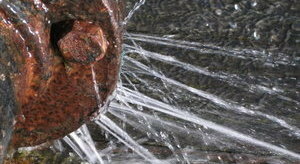 However, the normal wear and tear that a home can experience may also lead to leaks and flooding. 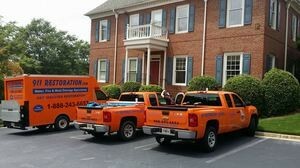 The water damage Spring Hill team understands the importance of getting to the damage site quickly, so they always guarantee a response time of within 45 minutes when it comes to dealing with water emergencies. The Spring Hill flood mitigation techs have over 35 years of experience, making them the most qualified home restoration workers in the Tampa area. We will do everything we can to support our customers, which is why we are available 24/7/365. We are expertly trained in remediating all types of water-related disasters, including leaks, floods, mold removal and sewage overflows. 911 Restoration Tampa operation and all of their Spring Hill water damage remediation experts are licensed, insured and bonded in order to protect everyone involved in the home restoration process. When you call the Spring Hill agents, you can feel confident in the fact that you are calling reliable plumbing repairmen. Almost four decades in the industry has given us the knowledge we need to be able to restore everything, from a fungus infestation to a leaky ice machine. You can depend on us to make sure your home becomes a safe environment for you and your family. Getting the Spring Hill technicians to your home as soon as water damage invades is necessary to preventing permanent damage and mold growth. If you do not treat standing water in a timely manner, then a mold infestation can begin within hours. Even if you haven’t experienced a water damage disaster, you may still have mold lurking in your walls. This is why you should call our Spring Hill floodwater mitigation technicians right away to conduct a free visual mold inspection. We will use the most advanced water removal and drying technology in the industry to eliminate all signs of fungus and mold. Our Spring Hill water damage agents know that finances can be a struggle for some homeowners, so we consistently offer competitive prices. Give our water damage Spring Hill team with 911 Restoration Tampa a call the moment you discover unwanted water in your home and we will take care of it for you today! I thank you all very much for standing in the gap for me in different areas where I could not be, particularly with this appointment this morning. I don't feel I'm dealing with contractors, I feel I'm dealing with family. I have no doubt what so ever that you are going to make that little condo look beautiful.